IBPS PO Pre-exam Result 2015 Declared- Download IBPS PO/ MT Preliminary Examination Merit List Cut off Marks 2015: IBPS had successfully conducted online preliminary exam on 03rd, 4th, 10th and 11th October 2015 across the country for the posts of Probationary Officers and Management Trainee against recruitment 2015-16. The common written examination (CWE) V was of objective type test in which 100 questions were present in the multiple choice question paper. The time duration for online test was 1 hour or 60 minutes. The negative marking was allotted for each wrong answer as 1/4th deduction in allotted marks. The pre-exam was of qualifying nature test and no marks would be added in preparing final selection list / merit list of the candidates. The preliminary online test was attended by huge numbers of candidates. Now these candidates are waiting for their result, cut off marks and merit list. The latest news is that IBPS is going to announce pre-exam result on or after 15th October 2015 on the official website www.ibps.in. The list of qualified candidates are expected to be released with scorecard / marks obtained by the candidates in the online examination. Those candidates who had appeared in online exam and waiting for their result, scorecard, merit list and cut off marks, they can download all these information from direct link given here. The qualified candidates will have to attend main examination which is scheduled to be conducted on 31st October 2015. The admit card for main exam can be downloaded here. The latest News is that IBPS has released the final allotment list for Probationary Officers/ Management Trainee on 16th April 2015 on official website. The final allotment of station will be provided to the candidates based on their Merit List which will be prepared descending wise from the final marks obtained by the candidates. The candidates will fall in the choice of the candidates through the merit list which was filled during apply for these posts. The candidates are required to produce / submit the photocopies of the documents at the time of getting appointment letter. 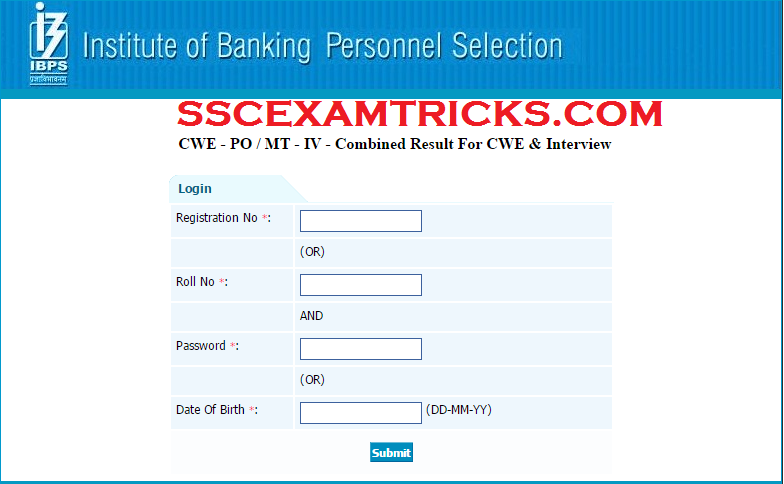 Institute of Banking Personnel Selection (IBPS) had released Final Result/ /scorecard/ marks details on 01st April 2015 on official website based on the performance in written examination and personal interview. IBPS has also released scorecard of the qualified candidates who were called for interview which was scheduled from 19th January to 29th January 2015. IBPS also released cut off marks for IBPS PO IV 2014 for the posts of probationary officers (PO) category wise as well as section wise. A total of 48820 candidates who had qualified for IBPS PO IV 2014 written exam which was conducted which was conducted on 11th, 12th, 18th, 19thOctober 2014 and 01st , 2nd November 2014 at various centres in all over the country. The result of written exam had already been released on 21st November 2015. In the interview, the document verification was to be carried out thoroughly of every candidate. 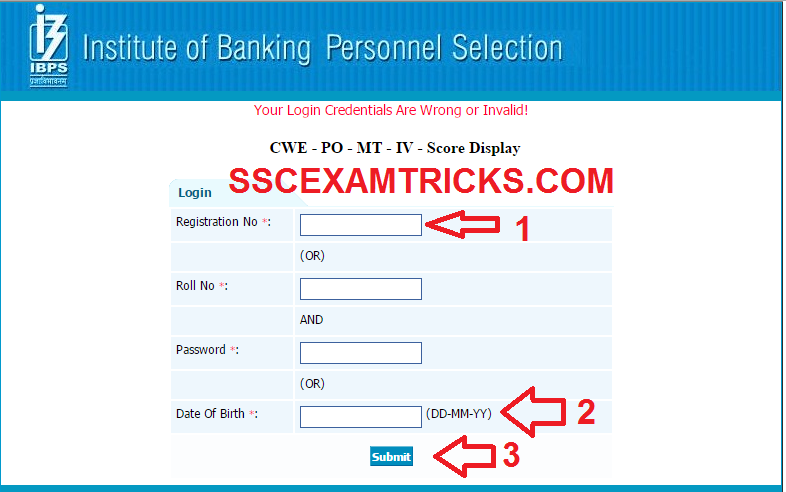 Those candidates who had attended interview and document verification and waiting for the scorecards/ marks detail of IBPS CWE IV PO exam can download their Final Result/ Scorecard from the direct link provided in the end of the posts. IBPS cut off marks was calculated in two stages. In the first stage, each candidate must have scored qualifying marks in each section or each candidate must score qualifying marks in individual tests. Then a total marks was calculated and merit list is prepared of such candidates who have qualified individual test. 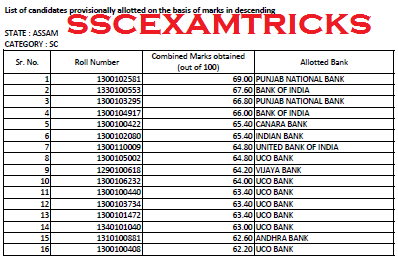 The Merit List was prepared in descending order of total score obtained by the candidates. Then the no. of required candidates for the post of probationary officer was to be calculated and three times more than required candidates were called for interview. From top to bottom those candidates who fall in the three times requirement of candidates for interview was short listed for interview. The interview call letter was sent to these short listed candidates. IBPS PO MT IV Exam 2014 Section wise Cut-off marks has released on the official website out of total marks of 200. IBPS PO MT IV Exam 2014 Category wise Cut-off marks has released on the official website out of total marks of 200. The cut off is prepared by adding marks obtained in Quantitative Aptitude, Reasoning, English, Language, Computer Knowledge and General Awareness.